SUVs and crossovers carry significant benefits over their smaller sedan counterparts or larger pickup counterparts. Minivans have plenty of advantages, but if they aren’t your style, you’ll want to consider an SUV or a crossover. Thankfully Kia has plenty to choose from to fit any type of style you are looking for. 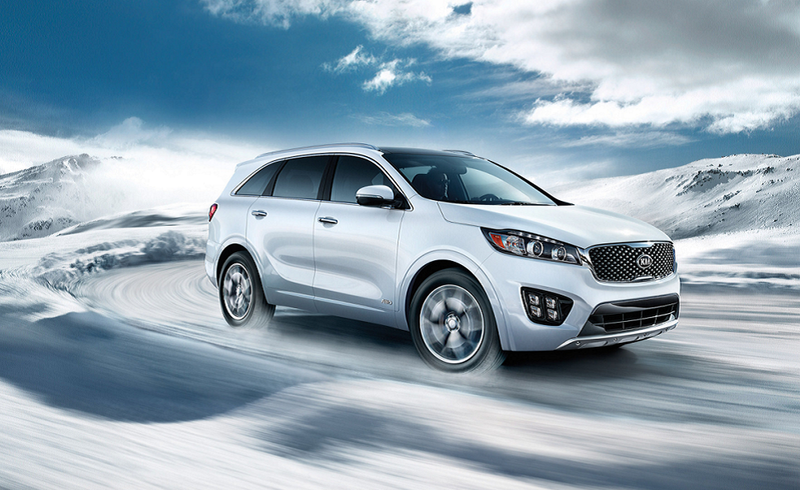 The Kia Sorento, Sportage, and Soul are all excellent options if you are considering buying a new SUV or crossover. Discover why you should buy a Kia SUV or Crossover from Carriage Kia, your Gainesville Kia dealer. Big family? An SUV is your answer, many of them with seating up to 7 or 8, and that still leaves plenty of room for cargo. 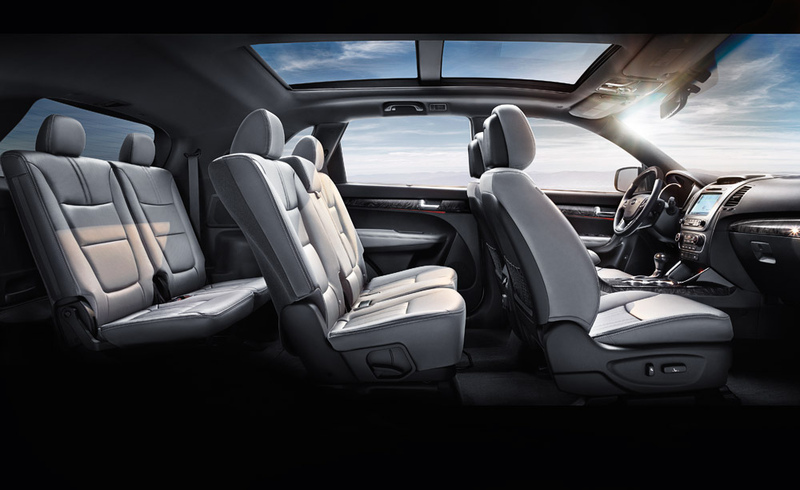 The Kia Sorento has plenty of seating with room for up to 7 passengers. The Kia Sorento, Sportage, and Soul all have fold down seats, providing more than enough cargo space for every day living! Some SUVs and crossover have hybrid versions, and even those that don’t have hybrid trim levels can get some great mileage, like the Kia Sorento’s 29 highway mpg. Even smaller, yet efficient crossovers, like the Kia Soul, can achieve 31 mpg highway and 24 mpg city! Don’t feel like you have to sacrifice space for efficiency! 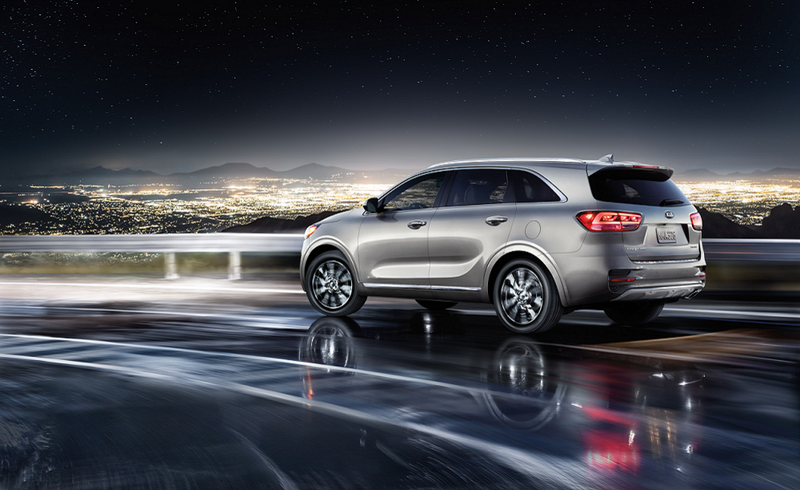 With Kia, you can get the best of both worlds! Even if a smaller car has the same safety features, they can’t beat the durability of a bigger car. SUV’s and crossovers have less damage when in accidents, especially with high-strength steel like in the Kia Sportage. The Advanced High Strength Steel on the new Kia Sportage makes up 51% of the Sportage’s body- 33% more steel from than the previous model year! If you have a lot of stuff to tow or go on lots of camping or boating adventures, you’ll want a vehicle that can tow. And SUVs can do just that! 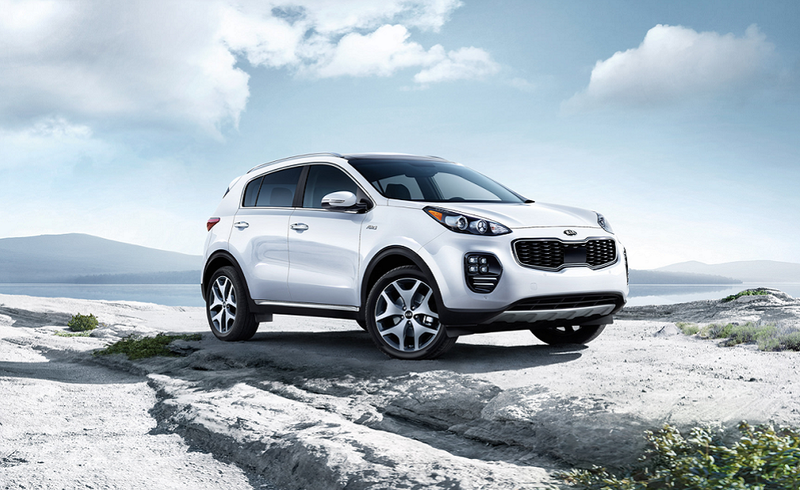 With the V6 engine in the Kia Sportage, generating 290 horsepower and 252 lb-ft of torque, there’s nothing stopping you – and your gear – from taking on your next adventure! If you’re an adventurer, you’ll want a suspension system that can handle rougher roads. SUV and crossover suspensions sit higher and are designed to handle rougher conditions. 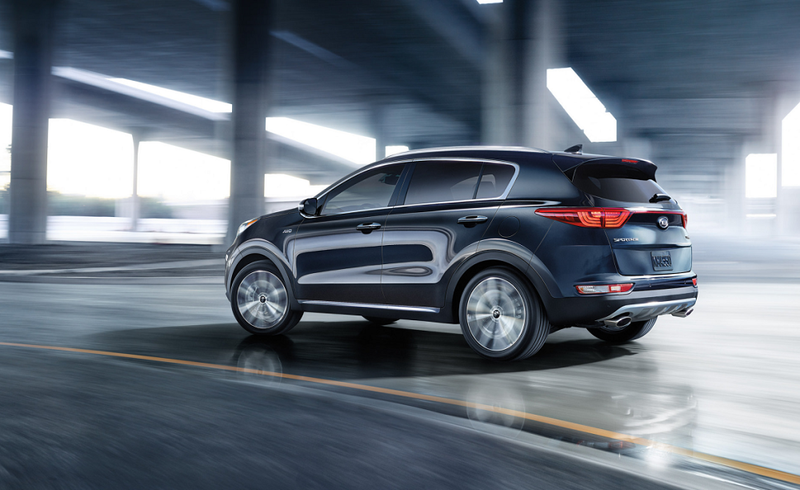 The new Kia Sportage is designed to take on any terrain thanks to it’s advanced safety features, a sturdy build, LED lights, and alloy wheels. You will be ready to go whenever nature beckons!